My previous post about my epaper business card attracted a lot of attention, most of it good. After publishing that project I was contacted by Pervasive Displays, who offered to send me an epaper demo kit in exchange for me writing something about it. This isn't really a proper review, more of a look at the screens and their software. For a better review, check out this one by Rei Vilo. I realized that it might be nice to have business cards. The problem with normal (paper) business cards is that once I got hired they would all be obsolete. The solution: use epaper to have a business card you can program with new information at any time! There is an incredibly popular low-cost software defined radio, known as the RTL-SDR. I've had one of these for months, and haven't really done anything cool with it. 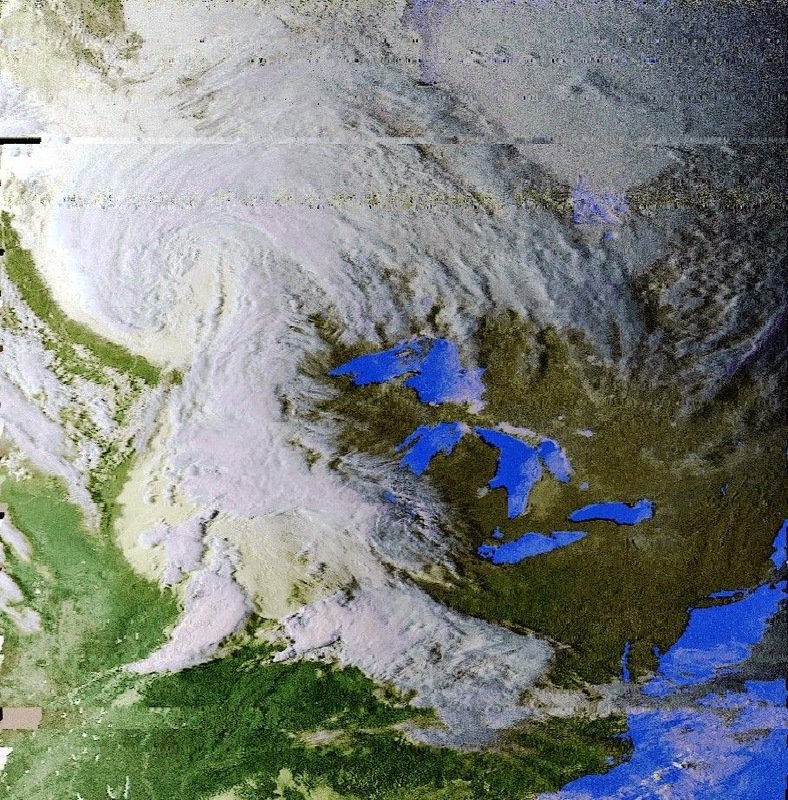 Recently I've seen a lot of people on the rtl-sdr reddit building quadrifilar helix (QFH) antennas to receive images from satellites using automatic picture transmission (APT). I decided to try this over spring break. Just in time for Halloween, I modified my previous Raspberry Pi Internet LED Control project to control an RGB LED, and stuck it inside a fake pumpkin. 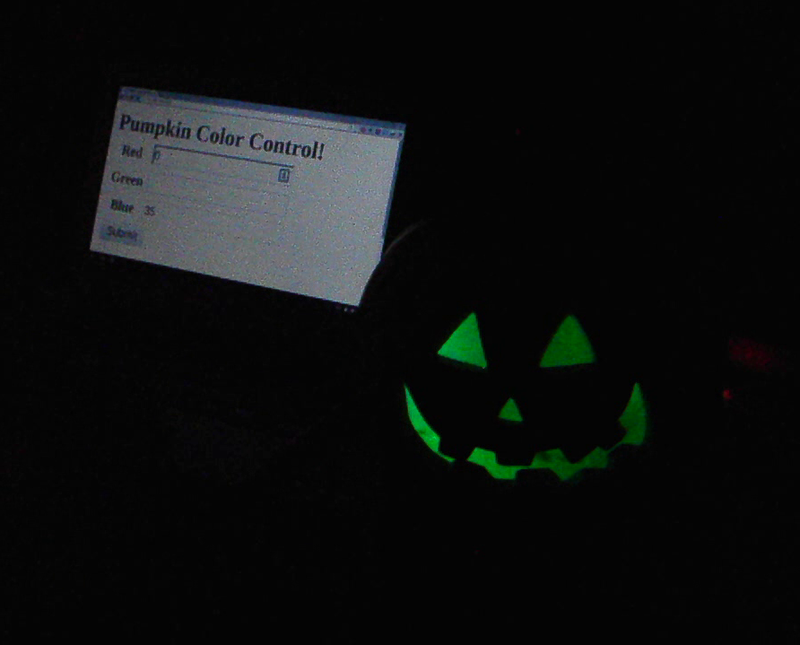 Now I have an internet controlled RGB pumpkin! The problem with old computers is trying to find a use for them after you have upgraded. I found myself owning four different laptops. Along with my tablet, phone, and desktop, I didn't have use for so many laptops. Recently I heard about the Cloud b Twilight Constellation Night Light, which is a stuffed turtle that projects stars from it's shell. I considered ordering one, but first I searched for a cheaper star projector. The cheapest one by far is Astrostar Astro Star Laser Projector Cosmos Light Lamp, at just $15. The pictures look amazing. However, the reviews are something else.